This month sees the launch of a new Cheek Pop range from Clinique. The product offers a natural blush look without any trace of powder or build-up on cheeks. Cheek Pop’s innovative formula begins as a smooth liquid which is then transformed through a slow baking process into a completely new distinct powder that’s luxuriously lightweight in texture and silky smooth. Cheek Pop’s modern formula provides sheer coverage with vibrant colour. The range is available in four shades including Ginger Pop, Peach Pop, Berry Pop and Plum Pop. 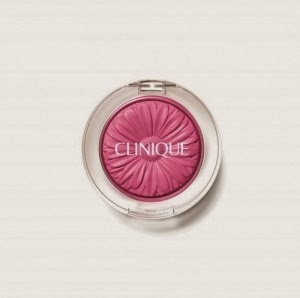 Priced at £16.50, Cheek Pop is available exclusively online at clinique.co.uk before rolling out at Clinique counters nationwide from March 21.